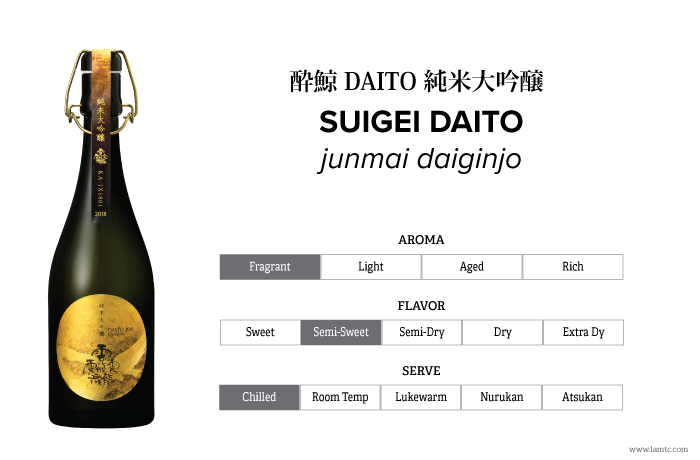 Suigei aims to produce Sake based on their fundamental principle, "The Sake we Brew will be Rich with Culture". This applies especially to three points: base rice (superior Yamada Nishiki grown in East Tojo, and polished to 30%), carefully selected yeast, and favored pressing method ("Nakadori"). These provide a brilliantly deep Ginjo bouquet, and lush flavor, appropriate for this superior bottle of Junmai Daiginjo Sake.